WELCOME TO BADEVTSI – COMPLEX “SINABOVITE HOUSES”! A picturesque place located in the heart of Bulgaria in the Elena Balkan - where the road ends and the mountain starts! It offers luxurious and spacious rooms, a large restaurant with panoramic views, a relaxation area, massage and spa, 2 conference rooms, an outdoor heated pool with sun loungers, a tennis court and a football field. They will give you peace of mind, coziness and comfort. At guests' disposal for houses "Teodora" and "Stefani" are also a separate outdoor heated pool with sun loungers, outdoor barbecue area with large table, fireplace, spacious yard with green lawn, playground and panoramic view. Indulge in an unforgettable holiday with family and friends! Organize your company party, seminar or team building in the “Sinabovite houses”! For all the occasions, we are expecting you! The complex has a hotel part and 3 separate guest houses. Escape from the busy everyday life and enjoy the unique nature of Elena Balkan. 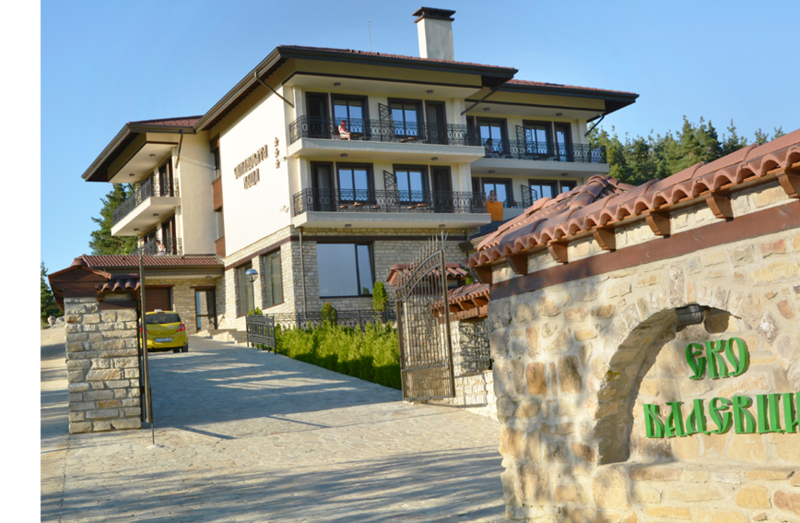 For your relaxing holiday we invite you to the village of Badevtsi, Elena municipality, complex “Sinabovite houses”. 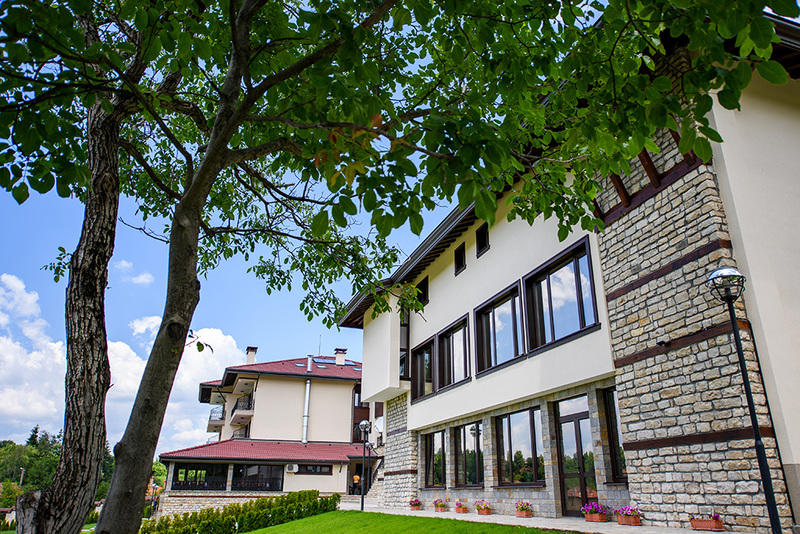 Guest house – hotel “Sinabovata house” offers large and luxurious rooms, a large restaurant with view, a relax area, spa and massage, two conference rooms for seminars and company trainings, an outdoor heated pool with lounges, a tennis court and a football field. Houses “Teodora”, “Stephanie” and “Vasilka” will give you peace and comfort. 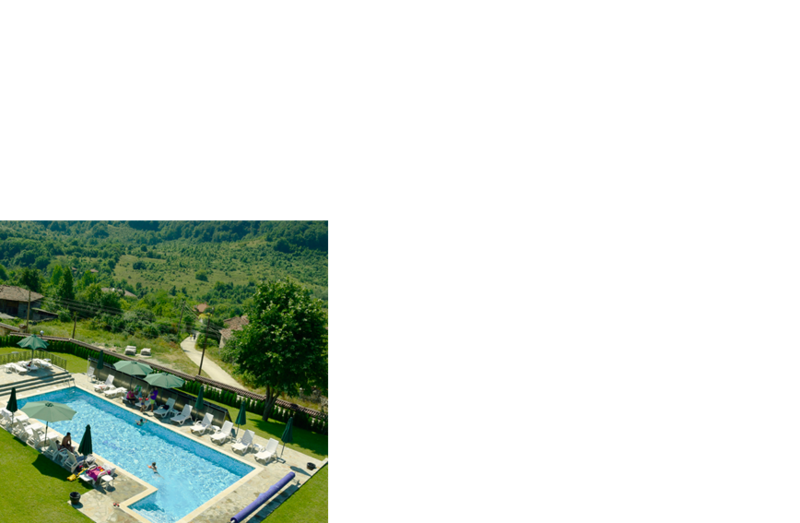 The “Teodora” and “Stephanie” guest houses also have a separate outdoor heated pool with lounges, an outdoor barbecue area with a large table, a fireplace, courtyard with green lawn, a children`s playground and view. In the “Sinabovite houses” our guests will find warm atmosphere, delicious homemade food, luxurious rooms – an unforgettable vacation spot combined with positive energy. No matter why and when you have chosen us, we will try to satisfy your wishes and charge you with good moments! Quietness and wonderful food. Very good place to rest. Friendly staff. The base is incredible – rooms, staff, cleanliness. The complex is suitable for family vacations and big companies, it has facilities – internet, parking, spa and pool. Silence and tranquility are a fact. We offer an unforgettable experience to your team (games, seminars, trainings or team buildings). You can also indulge in a well-deserved holiday with friends and family. Escape from busy everyday life and visit the unique nature of Elena Balkan in the village of Badevtsi, which is 32km away from Veliko Tarnovo, 20 km away from Elena and 9 km away from Yovkovtsi dam. The complex has a capacity of up to 80 beds, a restaurant up to 100 seats with a panoramic view, two conference halls: one with a capacity of 30 people, the other one with the capacity to 100 people, jaccuzi, steam bath, massages (upon request), table tennis, two heating pools - one at the hotel and the other one in the yard of our houses.